Environment Canada is dedicated to protecting the environment, conserving the country’s natural heritage, and providing meteorological information to keep Canadians safe and informed. Its mandate is met, in part, through eight laboratories across Canada—six of which are devoted to monitoring and testing of water, one to air, and one to wildlife. Integrating diverse national laboratories, systems, and practices. Over the past two decades, each of the geographically distributed labs inevitably evolved its own distinct technologies, systems, and practices. This inconsistency was exacerbated by the challenges of justifying technical upgrades and maintaining consistent equipment standards in a discipline where the state-of-the-art moves forward very quickly. Through departmental restructuring, the 8 labs were now managed under a single national Directorate. The labs found themselves working without common processes, IM/IT infrastructure that had reached end-of-life, and the absence of standards for properly managing sensitive information. Centralization highlighted the inconsistencies, which posed significant risks to the labs, jeopardizing their accreditation status and credibility. The data derived from these labs’ work is not only an important tool in carrying out the EC mandate but is often used, for instance, as evidence in water, air, and wildlife impact studies and assessments. Of course, the opportunities inherent in improving collaboration and consistency were significant as well. Under the new national Directorate, the testing of samples and presentation of results were now required to be performed in exactly the same way at each lab. The department also saw the opportunity to improve workload sharing and adopt common terminology and processes among the labs. They recognized that to make these changes, they would need a national laboratory information management system (NLIMS) to address their aging IT infrastructure. But they also were aware that the success of the initiative would depend on not only identifying the right IM/IT solution provider but also thoroughly reviewing laboratory processes to identify the right business model. Because the RFP and tendering processes were new challenges for EC, they worked with BP&M to define a successful procurement strategy. BP&M began this undertaking by creating a project governance and stakeholder map that identified the types of decision-making EC would need to do and the spokespeople for the various subjects of lab study: water, air, and wildlife. These spokespeople acted as champions for change and were given clear roles and responsibilities. Working closely with EC, BP&M broke the project into three themes: stabilize, optimize, and modernize. Along with lab staff and management in various working groups, they looked carefully at the business and laboratory processes and built a model of what those process would look like in a consistent and standardized end state. By creating working groups with representatives from each lab, the whole national team was able to talk to each other, exchange ideas, and think strategically in order to define the criteria for an IT system that would support their needs. 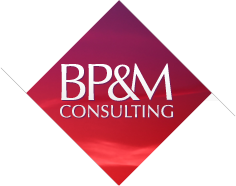 Once the RFP process, tendering process, and evaluation process were complete and the contract was awarded, BP&M also worked with the vendor and EC for more than 10 months to ensure not only that they were operating efficiently together, but that the vendor solution was carefully configured to support the new national processes that were developed. Throughout the process, BP&M coached and mentored the EC project leads, which helped them to gain important knowledge on successful project execution, effective governance and management of transformational change within the organization. Environment Canada piloted its new NLIMS in one lab and the first phase was a great success—on time and on budget. The organization has realized tremendous benefits in having an up-to-date technical backbone that supports renewed, streamlined laboratory processes. While managing large-scale change presents a number of challenges to any organization, the fact that EC can now evaluate performance using accurate management reports means that they can also understand and manage both demand and challenges. The pilot lab is a model for the other 7 national labs and is increasingly becoming a model for similar laboratory environments at other government departments. While there are still many benefits to be realized as the solution is rolled out to the full EC laboratory network, the project and process management insight and organizational self-awareness reaped by EC has provided not only a template for governance structuring but a transformational understanding about how organizations can adapt and succeed from within. This new awareness will undoubtedly provide ongoing value in the years to come.